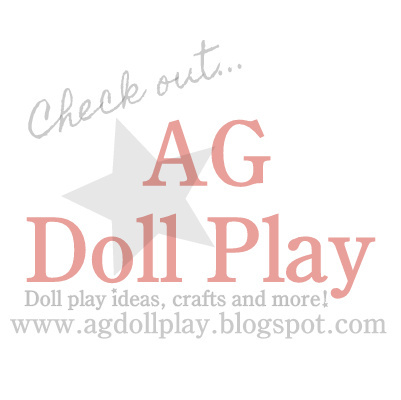 American Girl Doll Play: An Amazing Little Camera- For Lea? An Amazing Little Camera- For Lea? on Amazon for just $3.99 (shipped). It was advertised as a keychain that actually flashes and makes camera sounds when you press the shutter! I don't think the actual American Girl doll Lea's camera does this!?! I am so impressed with this feature! 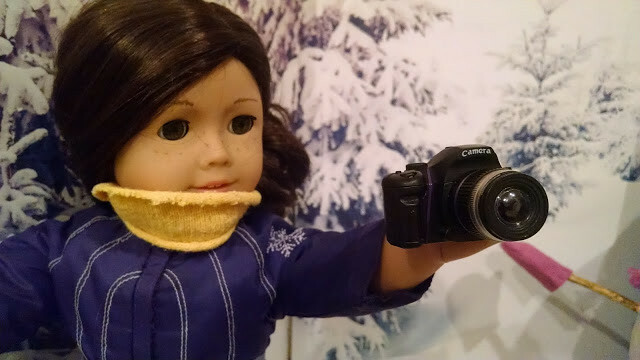 My daughter Gracie has really been into photography lately so I ordered a different doll sized camera that someone had shared on a Facebook group- it was a USB jump drive made to look like a Canon Camera. But, after I ordered it, I saw that the button worked on this one, and went ahead with both. The other one is coming from China and won't arrive till March I think. If it is a good fit for the dolls, I will share pictures. Here are two very short clips of the camera in action! If you live near Party City or Target, I was told they sold something similar or the same- and just a dollar! Good luck-these are great! Adorable! I like that it looks more like a real camera. Lea's is nice, but bright blue is an uncommon color. Still it is better than Jess's butterfly camera.